Abscess treatment in rabbits. Whether a staph skin infection in rabbits or pasteurella skin infection, learn how to recognize an abscess under the fur and heal it. Keeping your rabbit's environment clean is important, but no matter how clean you keep it – the place is not sterile. 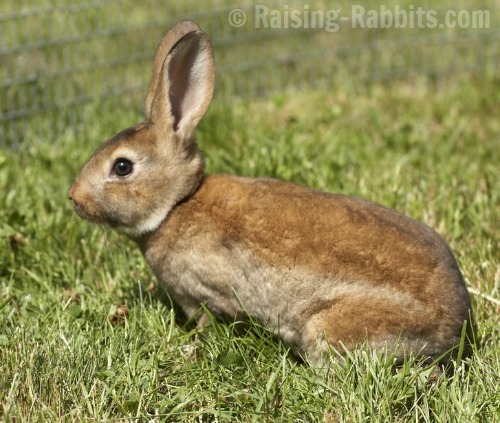 From time to time, it is possible that you could discover a boil or abscess on some part of a rabbit’s body. As you pet your rabbits and provide their daily care, simply be alert for the possibility of an abscess under all that fur. You won’t need a magnifying glass. You’ll be able to feel a soft and round lump over which your hand will bump as you stroke the rabbit. Remember, we’re not vets here at Raising-Rabbits, but we do have some hands-on experience with caring for sick rabbits. Your best bet is to see your rabbit-savvy vet. But in the meantime, or in the chance you don’t have access to a veterinarian, we’d like to provide you with the following tips on abscess treatment. A common causative organism is Staphylococcus aureus (staph skin infection), however the germ Pasteurella multocida is another very frequent culprit. This is the same germ that causes Pasteurellosis (Snuffles). A huge percentage of rabbits harbor both staphylococcus and pasteurella on a normal basis, without exhibiting any ill effects. The causative organisms were particularly virulent. Castor Rex bunny browsing in the lawn. This bunny does not have an abscess. From a cut or a scratch on the rabbit, the break in the skin provides an entryway for germs to get under the skin where they don’t belong. If this minor infection of a cut is not quickly eradicated by the rabbit’s immune system, the germs will multiply under the skin and the immune system will send white blood cells to fight the germs. The abscess is an enlarging infection encapsulated under the skin, and the contents are a combination of dead white blood cells (pus) and the causative bacteria. If you run your hand over the rabbit and feel an unusual, soft, movable round lump just under the skin, you’ve probably found an abscess. A pasteurella abscess will show identical symptoms. It is not uncommon for the rabbit to be acting completely healthy. However the site of the infection may be reddened and warm to the touch. Pain is another frequent symptom of an infection, however an abscess in the skin typically has room to grow, and therefore may not develop significant signs of severe pain. And grow it might. Abscesses can grow as huge as eggs, but if you’re handling your rabbit, you’ll probably notice something amiss before it becomes that huge. The abscess might be as big as a quarter or more, raising the skin possibly as much as a half inch (1.1 cm) or more. Note: If you find a lump under the rabbit's jawline, this could be an abscess due to teeth problems. The source of the infection in this case is more likely to be Pasteurella stemming from maloccludion and a bone or tooth root infection rather than a break in the skin. Your vet will need to help you with this type of abscess. There is no way to fix this problem without specialized care. With a sharp knife, make an opening right on top of the abscess. Be prepared with a paper towel or rag – if the contents are under pressure, they’ll squirt out or start oozing. They are more likely to be thick, white and cheesy, in which case, you’ll need to apply pressure to push as much of the pus out of the abscess as possible. With a bulb syringe or a syringe minus a needle, rinse out the cavity with copious amounts (lots) of water or saline. Use plenty of force so that all signs of infection and pus get dislodged and rinsed away. Take a cotton swab, and use tincture of iodine 7%, and swab the cavity thoroughly. Only once is needed. Bandage the area for 24 to 48 hours or so. Remove the wraps. If the area of the abscess appears to be free of any pus, redness or new infection, then leave the area open and allow to heal. Abscesses need to heal from the inside to the outside. You really don’t want the wound to heal shut too soon, because this will seal remaining germs inside the cavity and you’ll soon be back where you started – with another big cheesy abscess. Instead, check each day that the cavity is open and healing, or reopen and reflush with saline or water. If this is your pet rabbit, and it is otherwise completely healthy, the abscess treatment may result in complete healing. It may be the last you hear of this problem. That’s great news! If the pasteurella or staph skin infection takes a long time to heal, and/or the rabbit comes down with a new abscess elsewhere, this suggests that that your rabbit may have an inadequate immune system. In this case, you’re looking at trying to heal this second abscess, plus, if pasteurella was the culprit, an increased likelihood that your rabbit will start exhibiting the respiratory signs of pasteurellosis - sneezing and then a snotty nose. 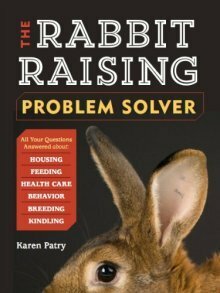 If you are a rabbit breeder with more than several rabbits, your wisest choice is to simply cull the rabbit. By so doing, you’ll eliminate weak genes from your barn and help to improve overall health while reducing sources of germ transmission. "In the long run, however, prevention is much preferred over treatment, as treated rabbits often show a recurrence of the problem and may well act as carriers of the Pasteurella organism. In most rabbitries it is probably best to cull such rabbits immediately" (6th Ed., pages 216-217). We hope your rabbit’s abscess treatment will be a piece of cake and that the staph skin infection symptoms will vanish into the sunset.